Both [Mu and Fitzgerald] served as chroniclers for their class and their generation, but neither wrote uncomplicated celebrations of nights spent foxtrotting and days spent recovering. In fact, there’s a sense of world-weariness and dutifulness to those nightclub visits, which comes through most clearly in Mu’s story “Black Peony”: evenings at cabarets were once novel and exciting, but have settled into a social obligation for the narrator, who feels “weighed down by life.” And the complex negotiations involved in romancing Shanghai’s “modern girls” vexes all of the male characters, who frequently find themselves treated as playthings by duplicitous women. 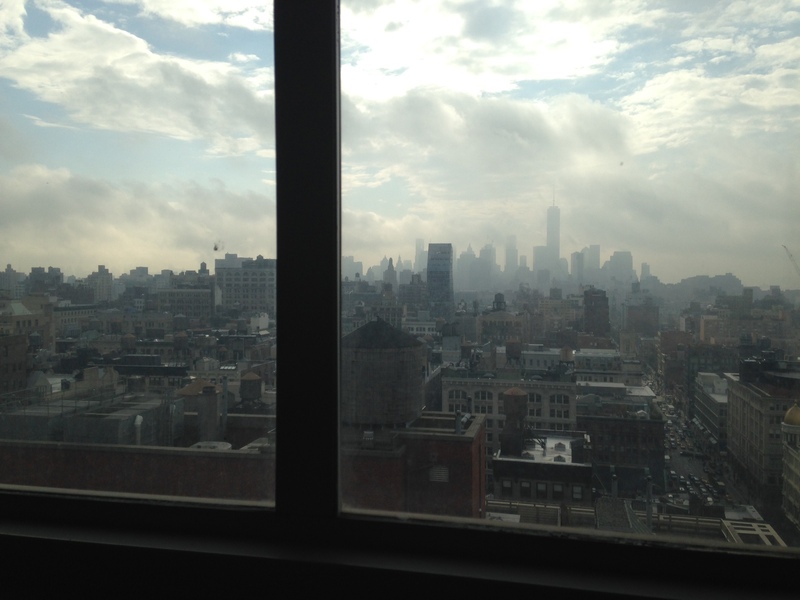 But I have my computer facing away from the window so I won’t get too distracted by the loveliness of New York! Previous Previous post: What to Keep? What to Toss?